Gullfoss, (“Golden falls”) in the river Hvítá, one of the most beautiful waterfalls in Iceland and a favourite with tourists. It falls 32 m in two cascades. The canyon below the falls is 2,500 m long and 70 m deep, a magnificent sight. 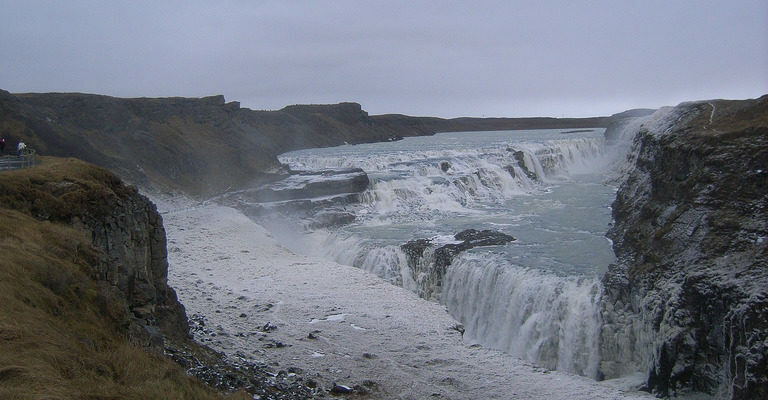 Gullfoss is state property. A tourist store is located near the falls.